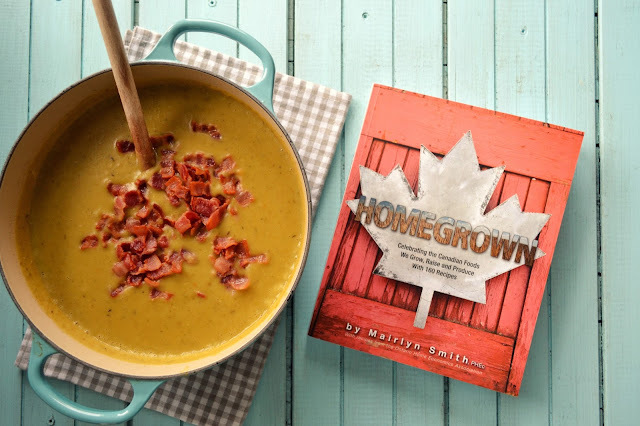 I'm getting all patriotic on you today and joining with a group of Canadian food bloggers to spread the joy about the new cookbook Homegrown by our pal Mairlyn Smith. 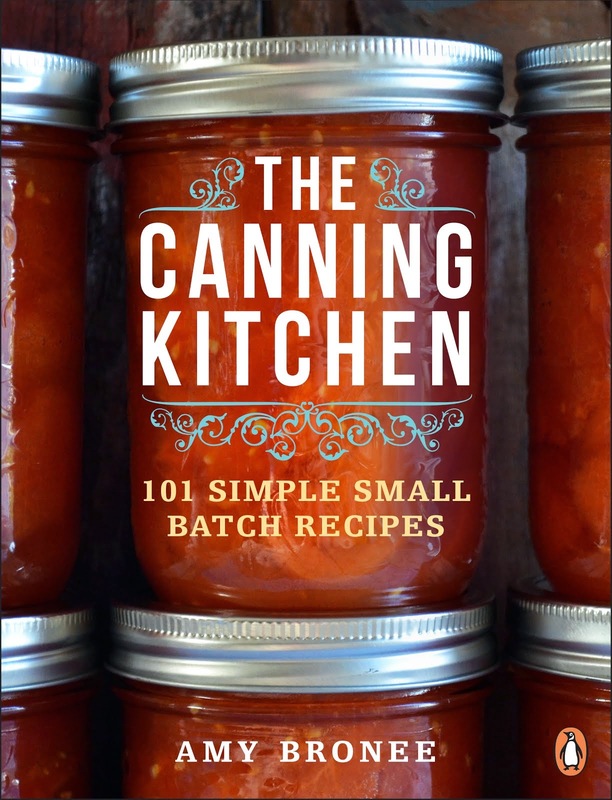 This collection of Canadian recipes, published by Whitecap Books, is perfectly summed up by its subtitle - Celebrating the Canadian Foods We Grow, Raise and Produce With 160 Recipes. If you never knew how much of what we eat is grown right here at home, this book will bring you up to speed quickly and on a full stomach. 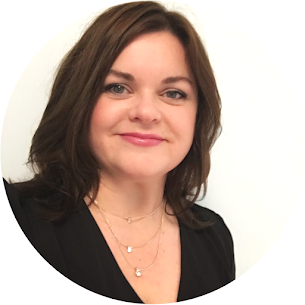 Mairlyn is a professional home economist, cookbook author, media darling and all around funny gal (she's a Second City Comedy Troupe alumnus). Whatever the room, she is bound to be the most sparkling personality in it as she wishes one and all, "Peace, love and fibre." When she speaks passionately about something, you can't help but care about it too. So it's no surprise she is the one bringing Canadians together in a tasty celebration over the food grown and raised right here at home. 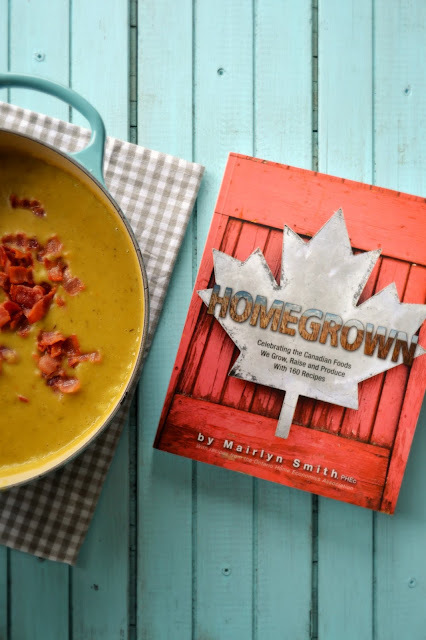 In Homegrown, Mairlyn takes us all across this great land of ours from east to west, north to south, and through four seasons to showcase what it is to eat Canadian. It reminds us of the bounty of our prairies, the wealth of our waterways, the fruitfulness of our soil, and the beauty of sharing all that food with each other. Homegrown connects home cooks to the family farm and puts that bounty in our bowls so we can feel good about eating well and supporting the families that work hard to fill our shopping baskets. To me, split pea soup is Canada in a bowl. A regular part of our post-Easter family dinners growing up, a bowl of thick pea soup with cubes of leftover ham was pure Canadian comfort food. On page 146 of Homegrown, we are treated to a recipe for Quebec Style Pea Soup (recipe below), which is absolutely everything you want it to be. 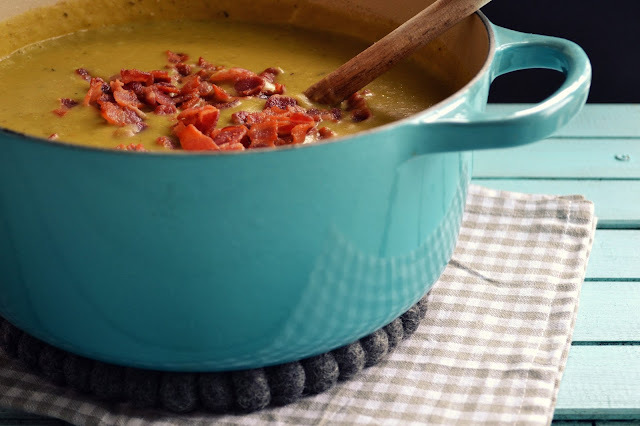 It starts with bacon and ends with spoonfuls of thick and satisfying pea soup just like mom used to make. Simple, comforting and full of fibre, this is a Canadian tradition I could come back to time and again. I visited Quebec City this past December for a fun-filled three day shopping trip with two long-time girlfriends, and we had so much fun enjoying the flavours of Quebec while we were there. I seem to have developed a particular affection for Quebec flavours now, wherever I can get them, so my choice of making the Quebec Style Pea Soup was an easy one. Make it, you'll like it. And in the words of Mairlyn, "Peace, love and fibre." From Homegrown: Celebrating the Canadian Foods We Grow, Raise and Produce with 160 Recipes, authored by Mairlyn Smith. Reprinted with permission of Whitecap Books, 2016. 1. In a large soup pot over medium heat, sauté the bacon until crisp, remove with a slotted spoon and place on a paper towel. Set aside. 2. Add onion and carrots and sauté until the onion is translucent. Add the minced garlic, thyme, black pepper, bay leaf, cubed potatoes, split peas and salt. Sauté for 1 minute. 3. Add the broth and bring to a boil. Cover, reduce the heat to a simmer and cook for approximately 45 minutes or until the peas and potatoes are very soft. 4. Remove soup from the heat and remove the bay leaf; using a hand held immersion blender, puree the soup or transfer to a blender or food processor and puree in smaller batches, then return soup to saucepan. 5. If needed, add additional water or broth. Reheat if necessary. Sprinkle bacon over soup, stir in and serve. Sprinkle with green onion, if using. To purchase your own copy of Homegrown, you can pick one up at your local book store or purchase one online here! Oh Amy this has been on my list for a while too. 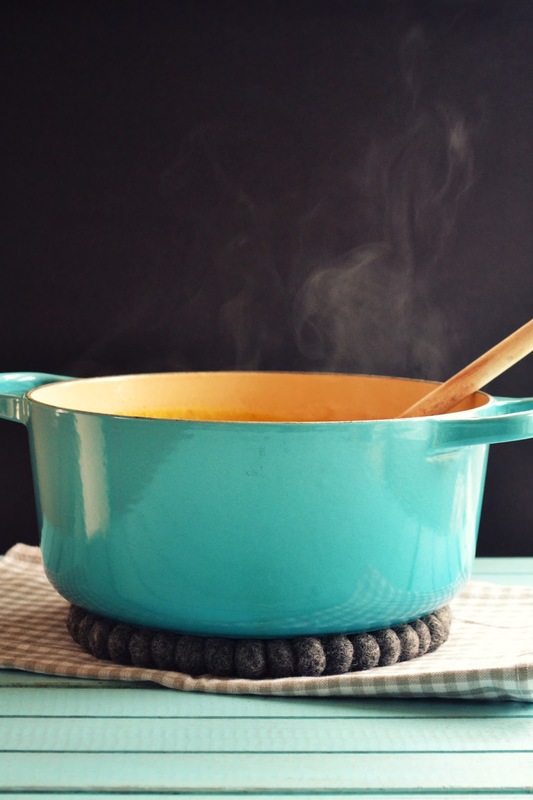 Seeing this gorgeous soup (in that gorgeous pot!) makes me wish I was enjoying this for lunch too! If you like pea soup, this is a mega winner. This would go down nicely on such a blustery day! I can practically smell the aroma. Have a bowl for me! 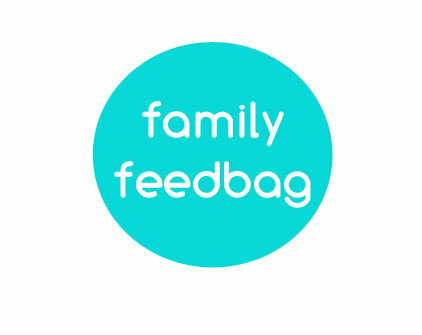 It's seriously good and super easy. My mom came over to babysit the kids and ate the rest! I have two soups I could eat on repeat without ever tiring of them. One is French onion and the other is split-pea. I'm definitely making a pot of this later this week. It's cold, dark and damp here and just what we need to warm us up a little.